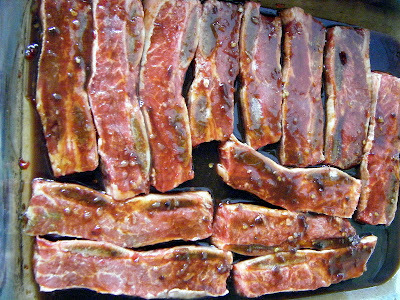 Eater Joel Marcus makes a mean marinade — or so he tells me. 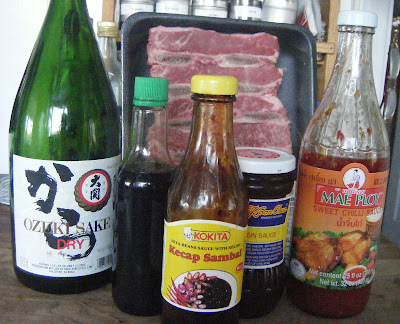 He shared his ingredients for making a “secret sauce” for soaking everything from shrimp (ginger and orange juice), to flank steak (apple butter), to beef brisket (Pepsi!) to chicken (brined with salt, sugar and turmeric). 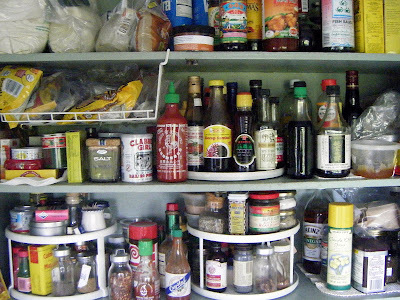 And I’m sure he’d agree that the real secret to a great marinade — and the answer to a quick and easy dinner on a hot day like this one — is keeping a well-stocked cupboard. I just opened mine. . . The whole process took about five minutes, tops. As I write, they’re in the refrigerator. In a few hours I’ll grill the meat, toss the marinade, throw some corn on to boil, make a salad and pour myself a nice cold sake to celebrate the sun — and the end of the work week. Couldn’t be easier. So, Joel wanted me to ask: what’s your recipe for an easy marinade?